An Illinois man charged with making bomb threats against a southern Alberta community used an app to access the town’s emergency radio transmissions and listen to how crews reacted to his calls, according to police in Taber. Police said over three days, 10 bomb threats were made against three schools, a hospital, a bank, a police station and a Walmart. Taber is located about 260 kilometres southeast of Calgary. Some of the threats led to evacuations. Police searched each location, multiple times in some cases, and determined the threats, delivered by phone Feb. 7, 8 and 9, to be hoaxes. Then a technical expert with the Medicine Hat Police Service determined one of the phone numbers identified in their investigation originated in Illinois. Officers in Alberta worked with the U.S. Department of Homeland Security and the Jackson County Sheriff's Department to arrest a suspect late Saturday. Justin Bagley, 38, of Elkville, Ill., was charged Sunday with 11 counts of felony disorderly conduct. He is being held by U.S. authorities and Taber police said he will face prosecution south of the border. 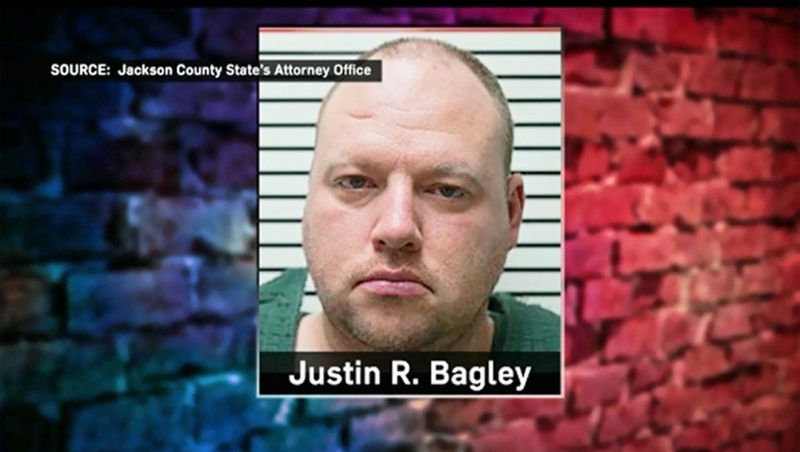 Bagley was previously arrested and jailed for a similar offence at a Walmart in Illinois in 2005. “The allegation is that he received some sort of gratification out of listening to the responses to the threats that he had made and he did so over that app,” said Chief Graham Abela at a news conference Tuesday. Ken Holst, chair of the Taber Municipal Police Commission, says the threats brought up troubling reminders of the school shooting at W.R. Myers high school in Taber nearly 20 years ago in which one student was killed and another injured. News of an arrest brought “great relief,” he said. “Even though that was a long time ago, when our school was directly targeted Friday morning, many of those emotions and feelings were welled up in many people,” he told CTV Calgary. The State’s Attorney in Illinois said Bagley faces two to five years in prison for each of the 11 counts if convicted. He made his first court appearance Monday.